Will we see spaceships in the Black Desert? Pearl Abyss, the South Korean studio behind Black Desert Online has today announced it will acquire Icelandic developer CCP Games. 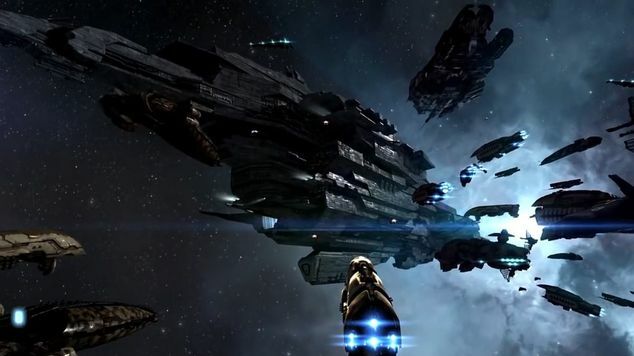 Best known for its epic space MMO, Eve Online, CCP will be purchased for a reported sum of $425 million. "Partnering up with another MMO developer means that we have an even greater shared depth of experience to pull from and can tackle even more (and bigger) long-term mutual goals," wrote CCP Games CEO Hilmar Veigar Pétursson in an open letter to the community. Pétursson also noted that "CCP Games will continue to operate as a wholly owned independent subsidiary, with studios in Reykjavík, London and Shanghai, and we’ll integrate our development and publishing expertise into Pearl Abyss’ operations for all current and future projects." Launched in 2003, EVE Online is still populated by hundreds of thousands of players fifteen years later. Just last year, CCP Games celebrated 20 years as an independent studio. The game has made numerous headlines in the past for player battles consisting of over 5,000 players. "We are thrilled to have CCP Games join our team as Black Desert Online continues to branch out globally," said Pearl Abyss CEO Robin Jung. "CCP is a seasoned publisher with over 15 years of digital distribution experience and know-how. "They have done an incredible job of engaging and maintaining their playerbase, which we aim to learn from and hope to integrate natively into our own general practices across all our games. I am confident CCP’s reputable IP and expertise in global publishing will help reaffirm our company’s dedication to developing and servicing the world's best MMORPGs." The successful release of Black Desert Online resulted in a game populated by over 10 million users. An impressive revenue of over $300 million prompted the developer to go public, with a vocal desire to acquire additional studios.